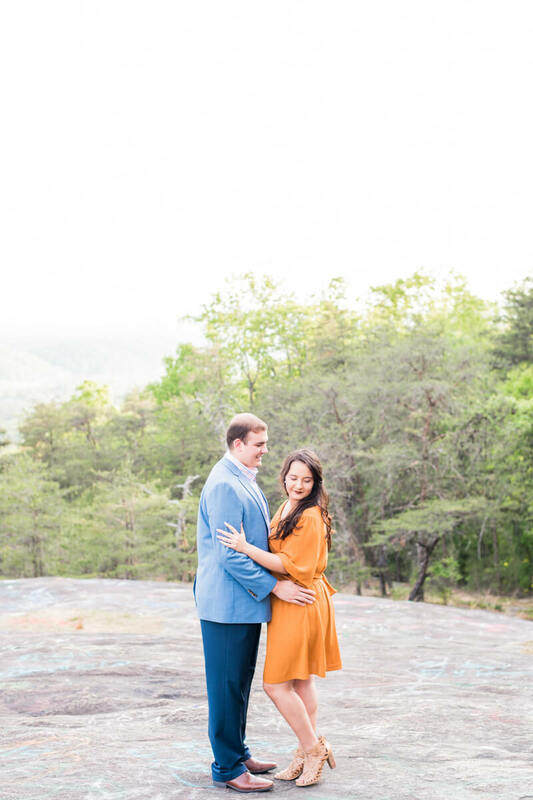 Cleveland SC Engagement - Caesars Head, Bald Rock Heritage Preserve. I recently photographed Alessandra and Josh's engagement at Bald Rock, up in the mountains of South Carolina. They are getting married Florida in just a couple of weeks; but, Alessandra wanted to do a session in her hometown of Greenville. Her only request was for a mountain view, and, boy, do we have one here! Alessandra and Josh, I wish you the best of luck in your upcoming marriage!